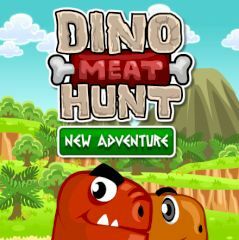 Two dinosaurs work together to complete ancient levels with lots of obstacles and traps. They need to reach a cave and collect meat along the levels. Dodge creatures, hunters and fire to stay alive and get all chances for completing the level. Make sure you select correct dino to complete specific task.